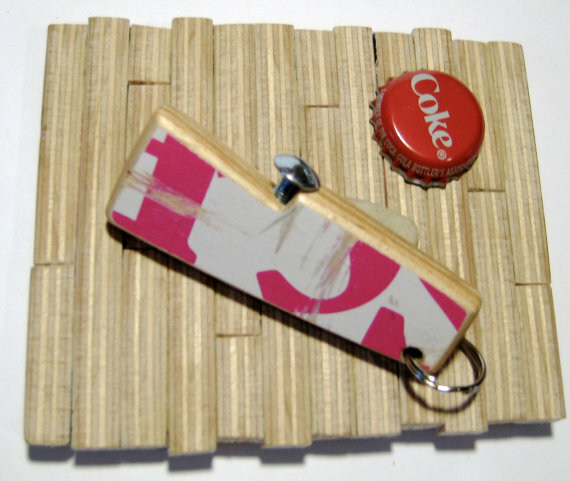 Thinking that it’s time to go beyond speed or casual cruising, creatives at Scene3 have been suggesting ways to put those discarded skateboards to other meaningful uses. 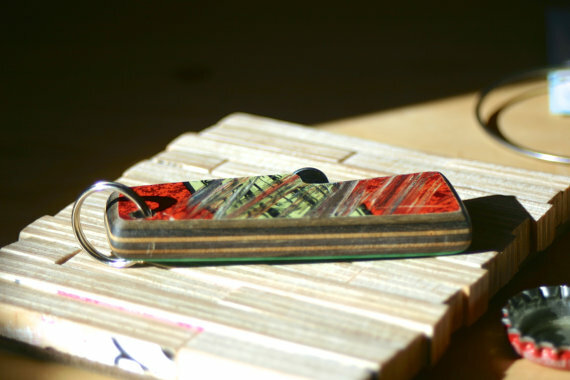 Accordingly, they have mesmerized us with eco themed recycled skateboard zipper pull and deck keychain in the past. 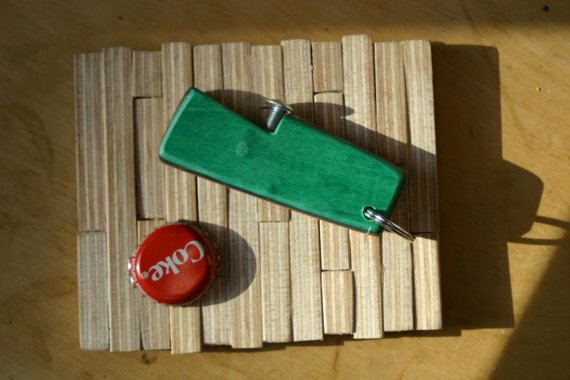 However, this time, they have designed and created bottle opener keychain by utilizing skateboards, which they considered as superfluous at their skateboard and bicycle shop. 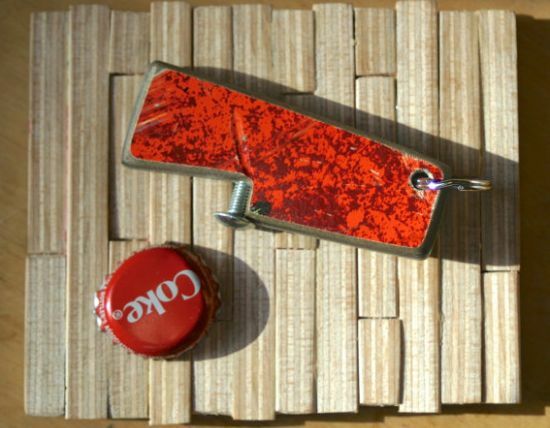 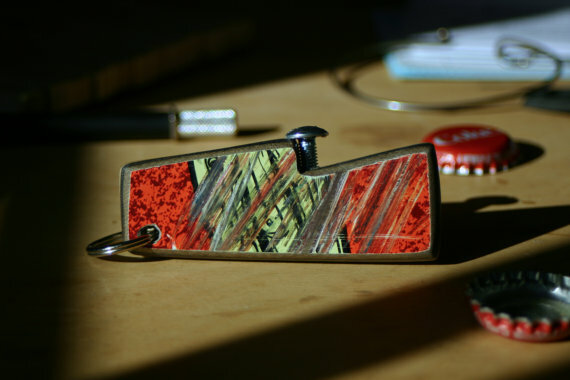 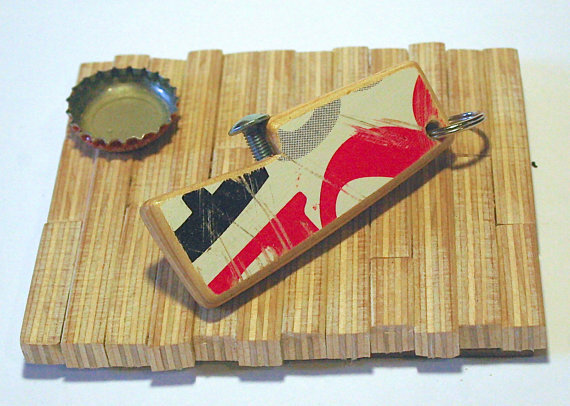 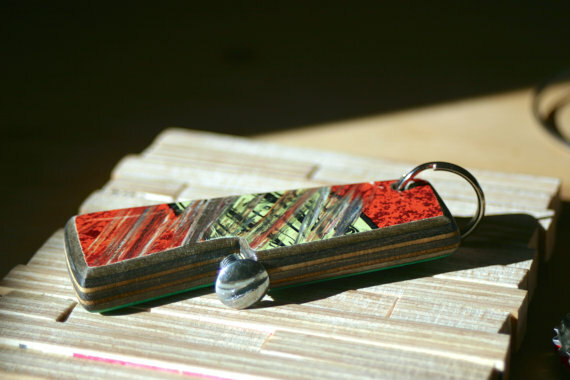 The fully functional Repurposed Skateboard Bottle Opener Keychain is the outcome of a painstaking manufacturing process which involves hand-selecting a skateboard, cutting it with a bandsaw and sanding the pieces. 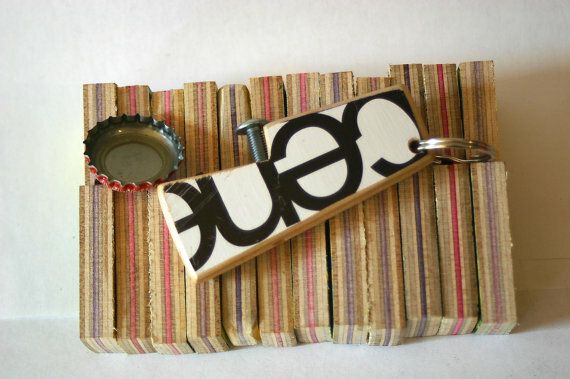 For sanding the keychains, they used the grip tape from the broken boards. 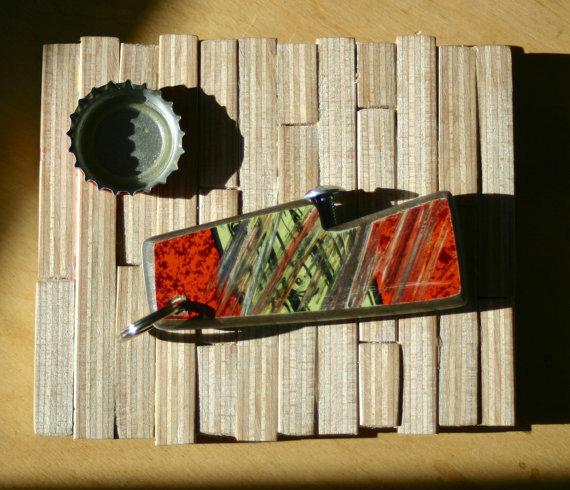 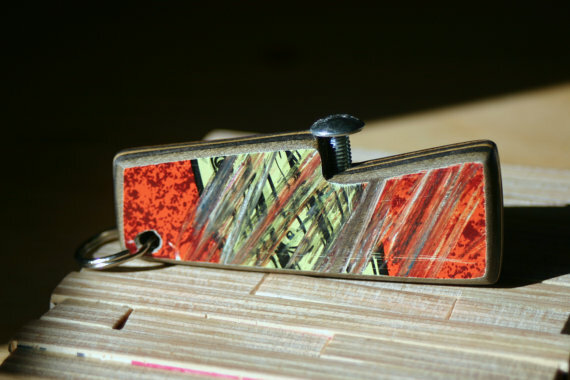 Finally, with some crafty strokes, they coat the bottle openers for better protection and a colorful look. 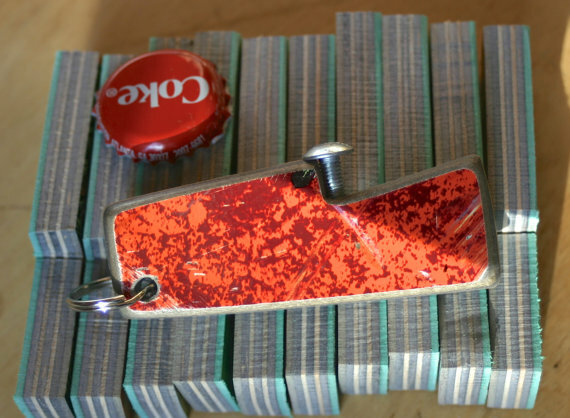 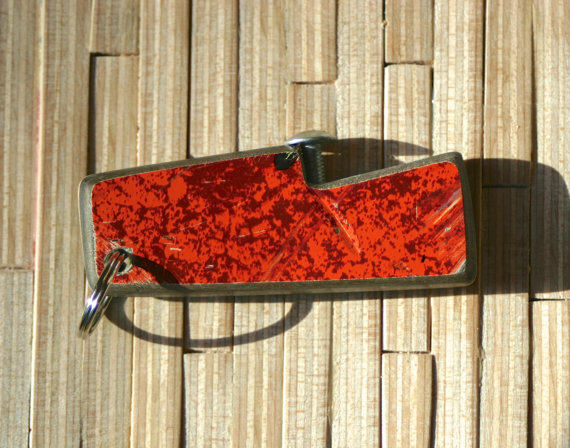 Available for $12 a piece on Etsy, you may gift the Recycled Skateboard Bottle Opener Keychain to your eco-minded friends this Christmas.